ENTERA HEALTH LAUNCHES PERSONALIZED PHARMACY SERVICES FOR ENTERAGAM™ (SERUM-DERIVED BOVINE IMMUNOGLOBULIN/PROTEIN ISOLATE, SBI) - Entera Health, Inc.
Entera Health, Inc is pleased to announce the launch of EnteraGam™ Hub Services, a program offering personalized pharmacy service to EnteraGam patients. The program offers patients guaranteed access to all Entera Health co-pay assistance plans, assistance with insurance claim processing, highly competitive retail pricing, and the convenience of discrete home delivery. 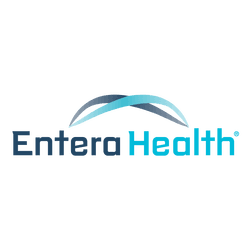 Entera Health’s proprietary sales force will begin promoting this program to gastroenterologists throughout the United States immediately. To learn more about the program, visit www.Hub.EnteraGam.com or call 1-844-368-3721. Established in 2004, Foundation Care Pharmacy provides retail pharmacy services in all 50 states. Their mission is to serve as a full service retail pharmacy that provides specialized patient care and personalized service from a professional staff by focusing on quality, respect, and commitment to care. Their vision is to keep patients’ health and well-being at the core of their business, while being recognized and respected as a leading full service retail pharmacy. Learn more by visiting them at www.foundcare.com. EnteraGam™ (serum-derived bovine immunoglobulin/protein isolate, SBI) is a prescription medical food product indicated for the clinical dietary management of enteropathy [e.g., in diarrhea-predominant irritable bowel syndrome (IBS-D) and HIV-associated enteropathy]. EnteraGam™ is required to be used under physician supervision as part of ongoing medical care for a specific condition or disease. EnteraGam™ is also indicated for the clinical dietary management of enteropathy in patients who, because of therapeutic or chronic medical needs, have limited or impaired capacity to ingest, digest, absorb, or metabolize ordinary foodstuffs or certain nutrients. For full prescribing information, please visit our product website at www.enteragam.com. EnteraGam™ is a specially formulated protein source for the management of intestinal disorders. The product has been extremely well tolerated for up to a year in HIV patients and up to 8 months in infants. The major side effects in clinical trials (2-5%) have included mild nausea, constipation, stomach cramps, headache, and increased urination. EnteraGam™ is contraindicated for patients with a hypersensitivity (allergy) to beef, or any components in EnteraGam™. Therefore, patients who have an allergy to beef or any component of EnteraGam™ should not take this product. EnteraGam™ has not been studied in pregnant and nursing mothers. The choice to administer EnteraGam™ in pregnant or nursing mothers is at the clinical discretion of the physician. Medical foods like EnteraGam™ are required by FDA regulations to be dosed and monitored by physicians as part of ongoing care for patients with chronic conditions or diseases. Entera Health, Inc. is focused on improving worldwide health through the development of clinically safe biotherapeutics to address unmet needs. Our passion is to help people thrive through healthier living. Our motivation for conducting basic research, clinical studies, and appropriately educating patients and healthcare providers is driven to meet this goal. Visit us at www.enterahealth.com.